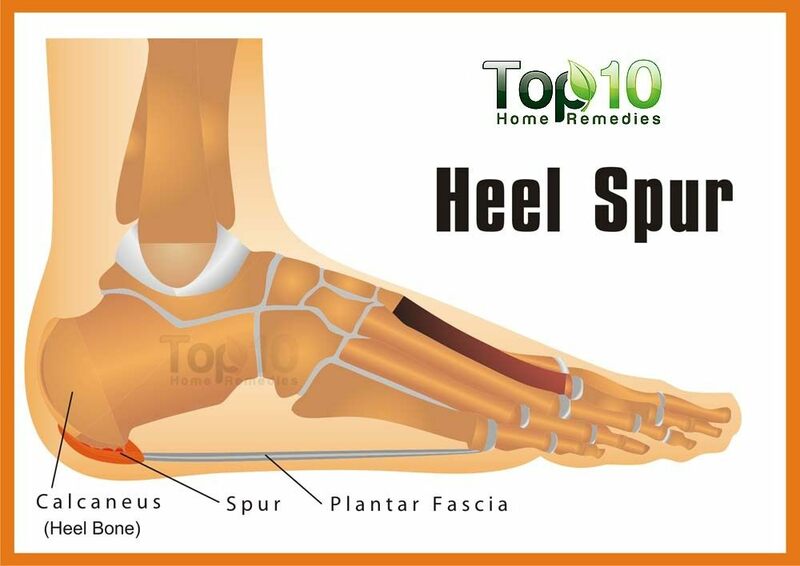 A heel spur occurs when calcium deposits build up on the underside of the heel bone. The abnormal calcium deposits form when the plantar fascia pulls away from the heel. This stretching of the plantar fascia is common among people who have flat feet, but people with unusually high arches can also develop this problem. Heel spurs are especially common among athletes who do a lot of running and jumping. Also, women who wear high heels have a significantly higher incidence of heel spurs. Still, it can happen to anyone. Risk factors include walking barefoot on hard surfaces, running or jogging on hard surfaces, wearing poorly fitted or badly worn shoes, tight calf muscles, spending most of the time on one’s feet, obesity, age and diabetes. Heel spurs often do not cause any symptoms. However, at times, they can cause heel pain or pain in the rear of the foot, especially while walking, jogging or running. One can also experience pain after prolonged periods of rest like after sleeping through the night. These spurs can also cause swelling and inflammation on the heels. With stretching exercises and certain lifestyle changes, heel spurs can be easily treated. At the same time, you can use natural treatments to get relief from the pain. 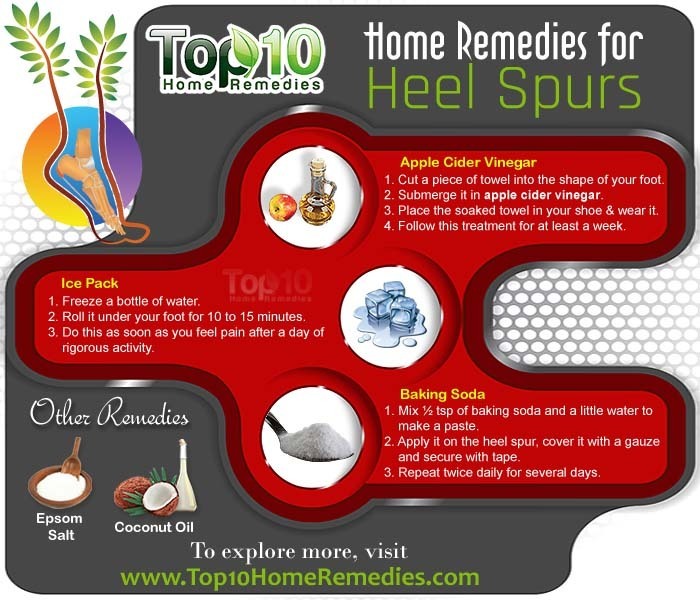 Here are the top 10 home remedies for heel spurs. Apple cider vinegar is a great remedy for treating heel spurs. It helps pull out excess calcium from the area of a heel spur, provides pain relief and reduces inflammation. Cut out a piece of towel in the shape of your foot and submerge it in apple cider vinegar. Place the soaked towel in your shoe and wear it. Make sure to keep the towel moist throughout the day. Follow this treatment for at least a week. Alternatively, warm ½ cup of apple cider vinegar in a pan and pour it into a small tub filled with warm water. Soak your feet in the tub for 5 to 10 minutes, 2 times daily for 1 or 2 weeks. You can also mix 1 tablespoon each of raw, unfiltered apple cider vinegar and honey in a glass of warm water. Drink it twice a day for 1 or 2 weeks. Ice can be used to reduce pain and control the inflammation and swelling associated with heel spurs. It will also help relax the muscles. Freeze a bottle of water. Roll it under your foot for 10 to 15 minutes. Do this as soon as you feel pain after a day of rigorous activity. Note: Do not apply the ice directly to the skin to avoid frostbite. 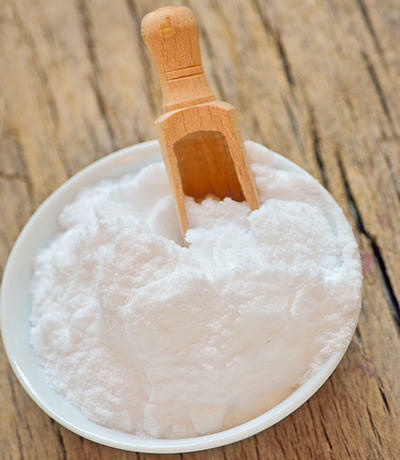 Baking soda is another good home remedy for heel spurs. The crystals in baking soda will help reduce calcium deposits built up on the bottom of the heel bone. Plus, it will help reduce pain and inflammation. Mix ½ teaspoon of baking soda and a little water to make a paste. Apply this paste on the heel spur and secure with it with gauze or duct tape. Repeat twice daily for several days. Alternatively, mix 1 teaspoon of baking soda and 2 tablespoons of apple cider vinegar in a glass of warm water. Drink it once daily for 2 weeks to balance the pH in the body. Epsom salt can help soothe your heels, giving you instant relief from pain. It can also reduce inflammation. Put 2 to 3 tablespoons of Epsom salt in a tub of warm water. Soak the affected heel in the tub for 10 to 15 minutes. Gently massage your heel to alleviate pressure. Apply some moisturizer and go to sleep. Coconut oil is also good for heel spur treatment. Being a natural moisturizing agent, it helps soften the spur and relieves pain. Also, coconut oil contains calcium which is required for healthy bone formation. Massage the affected area with warm coconut oil. Leave it on for a few hours to get relief from pain and inflammation. Do this every day before going to bed to prevent discomfort in the morning. You can also take 1 tablespoon of extra-virgin coconut oil daily in the morning. 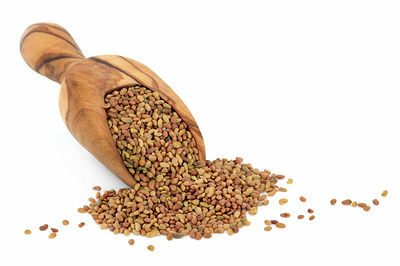 Flaxseed oil, also called linseed oil, contains alpha-linolenic acid, a form of omega-3 fatty acid, which can help reduce pain and inflammation. It can also lessen morning stiffness associated with heel spurs. Heat ¼ cup of flaxseed oil in a pan until it is warm. Dip a piece of cheesecloth into the oil. Place this cloth over the affected area and cover it with a piece of plastic. Put a heating pad over the plastic for a few hours. During this time, avoid movement of any kind. Use this treatment once daily until you get relief from the pain. Turmeric has curcumin that works as a potent painkiller and anti-inflammatory agent. So, regular consumption of turmeric may help ease the pain and inflammation of a heel spur. Mix 1 teaspoon of turmeric powder in 1 cup of milk. Heat it over a low flame. Drink this twice a day for speedy recovery. 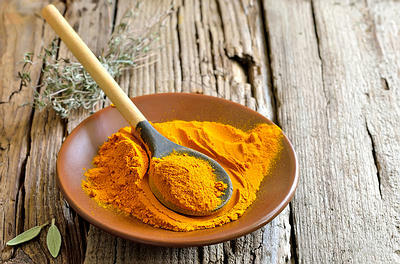 You can also take 500 to 1,000 mg of curcumin 3 times a day for about 6 weeks. Consult a doctor before beginning a supplement regimen. Another popular alternative treatment for heel spurs is alfalfa. This herb contains many minerals like selenium and calcium required for healthy bone formation. Also, it can help alleviate pain and inflammation. Add ½ to 1 teaspoon of alfalfa seeds to a cup of boiling water. Cover and let it simmer for 20 to 30 minutes. Strain, then add a little honey. Drink this tea 3 or 4 times daily until the pain and inflammation is gone. Then drink 1 to 2 cups of alfalfa tea daily to keep the symptoms at bay. An alkaline compound, borax is also effective for treating heel spurs. It helps maintain the levels of hormones and minerals necessary for bone health. Mix ½ teaspoon of borax with 4 cups of cold, chlorinated water. Soak your feet in this solution for 30 minutes before bedtime. Performing exercises that strengthen your plantar fascia can reduce the discomforts associated with heel spurs. You can do exercises like calf stretches and plantar fascia stretches twice daily, in the morning and evening. You can also do foot rotation exercises whenever you have time. Also, go cycling or swimming for some time. When doing these exercises, listen to your body. 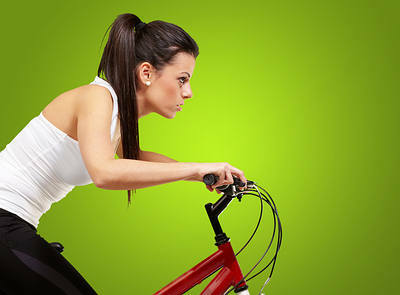 There is no need to exhaust your body, especially your heels, by following a strenuous exercise routine. Wear the right running shoes to protect your feet. Avoid wearing ill-fitting, tight or irregular shoes. Follow a diet rich in vegetables, fruits and whole grains. You can try night splints. An L-shaped splint made of fiberglass is a good option. To take the pressure off your heel, use a heel cushion or a heel-raising pad in your shoe. Allow your feet to rest, as rest is essential for quick recovery. Keep your feet elevated when resting. Never go barefoot, especially on hard surfaces. Always protect your soles with cushions. Stretch your feet before rising in the morning. Avoid standing for long hours. Take calcium and magnesium supplements after consulting your doctor. You can also take 1,000 mg of omega-3 fatty acid supplements twice a day, or 500 mg ginger tablets 2 or 3 times daily. Expose the affected heel to morning sunlight to help speed up recovery. Reduce stress as it can worsen the condition. Yoga and meditation can also help a lot. Acupuncture can also relieve pain and inflammation. I also tried mixing crushed moth balls with lard and salt, placed on a pad then held to bottom of foot with elastic wrap. Kept on until morning and found heel spurs completely gone. 4 years and have not returned. Mothballs ARE a pesticide! This treatment could very well draw the pesticide into your body, causing severe reactions, blood poisoning, sickness and even death. This is not something that should even remotely be recommended. Just as there are home remedies, there are the opposites – they can aggravate your condition, or even hurt you! Beware! My wife has been suffering from Bone Spur for the last one year. She tried everything, except surgery, in Allopathy. Just one month ago I came to know about Apple Cedar Vinegar treatment from internet. And she has been externally applying vinegar for a couple of weeks now. The result is quite astonishing, her pain has been reduced more than 50%. Hope by completing the treatment for a month she should be totally free from pain. She has been affected at her right ankle. I am highly obliged to the website from where I got information about this treatment. She was contemplating to go for surgery as a last resort. The only deterrent for her to go with surgery was three months bedrest after the surgery as she being a working woman. By the grace of Apple Cedar Vinegar greatly helped her treating the dreadful Bon Spur. Hardly slept at all last night due to heal spur pain. Have had the spur since early March and the pain has not gone away despite trying laser treatments (which were very expensive) and well as night splint socks. Foot specialist said that surgery on spurs is on about 40% successful, so that is out of the question. This morning I googled looking for some form of pain relief. Came across the apple cider vinegar idea. I gave soaked some gauze in it and have bandaged it to my heel. I will let you know if it works! Did the Apple cider vinegar work for you? I’ve been dealing with heal spurs in both feet for several months now. It seems to be getting a lot worse and the job I do requires me to be on my feet and walking around all day. I also have a one year old who I constantly have to chase after. I’m afraid he’s going to end up hurting himself somehow and I won’t be able to rescue him in time since it takes me forever to get up cuz of the pain. I’m going to try Apple Cider Vinger My Legt Heels is Irratating Especially Morning Time Wake Up .